What is it about looking out on the city from a sky-high vantage point that we love? It lets us be a spectator of the space we live in. We can see the streets, and the people streaming through them, like lines in a book. For once, we're able to behold something immense and complex like a city, right in front of us. In this article, we'll be walking you through some of the best attractions CityPASS has to offer, and what you can expect to see when you get there. So take a deep breath, step in the elevator, and ask the operator for the 100th-something floor, because we're about to look at some wicked views. Readers with a fear of heights should proceed with caution. First stop is an attraction formerly known as the John Hancock Observatory, but which is now called 360 Chicago. At 100 stories and 1,127 feet, you can see up to four states, and - you guessed it - a 360-degree view of the Chicago cityscape. You'll have a terrific view of some of the most well-known buildings in the city, such as the Aon Center, the Trump Tower and the Willis Tower. People who've been to 360 Chicago have said the view is wonderful both at night and the daytime. But at sunset, you get to see the long shadows of the city buildings cast onto the lake, which is certainly a site not to be missed. 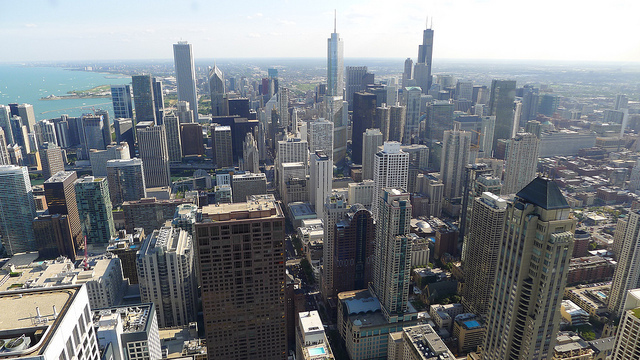 SkyDeck is another crucial CityPASS attraction in Chicago you won't want to miss. It's the second tallest building in the country, and has the highest observation deck. Like 360 Chicago, it provides a panoramic view of the city, up to 50 miles away, where you can see Wisconsin, Michigan, Illinois, and Indiana. SkyDeck offers a view of a plethora of famous landmarks. You can even wave to your friends at 360 Chicago from there! If it's nighttime, look close by, and you'll see the Water Tower (which survived the Chicago Fire) lighting up. Another sight more visible at night is the Jane Byrne Interchange. See those roads looping in and around each other like a bowl of spaghetti? Well, the "Spaghetti Bowl" is in fact the nickname for this intricate interchange! Ready for a view that's a little more "far out"? 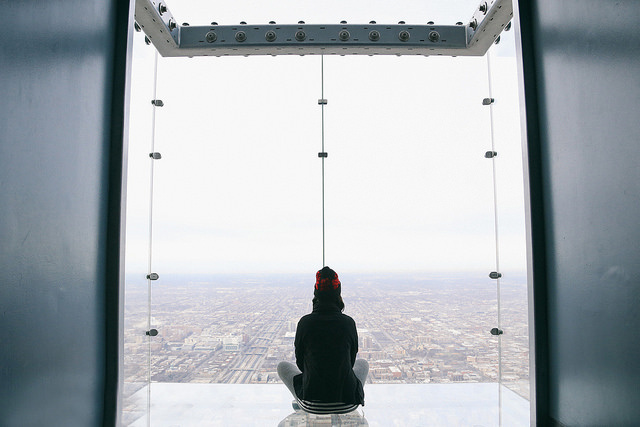 There's a section of the SkyDeck called the "Ledge" – a glass box that extends several feet out from the building itself, and which creates a surreal viewing experience. At SkyDeck, you'll also be able to see many other famous Chicago attractions, like United Center and Soldier Field. The list goes on. As a fun activity, bring a checklist with you to see how many landmarks you can spot! The Empire State Building is one of the best places to see the city that never sleeps. This building has two views - one from the 86th floor (main deck), and one from the 102nd floor (top deck) - and both are majestic. This New York City landmark is an essential for anyone who has not experienced the city, because it offers breathtaking views of almost all its notable attractions. From the main deck, you'll be able to see that 1.317 squared miles patch of lush green known as Central Park. You'll also see the Hudson and East Rivers encircling Manhattan, the Brooklyn Bridge, and even America's Great Lady, the Statue of Liberty! Remember, CityPASS allows you both daytime and nighttime admission. If you go to the Empire State building at night, and look to Midtown, you'll see one spot glowing more vibrant than the rest - Times Square. Times Square is a sight to behold while walking through it - full of bright, flashing billboards, looming storefronts, and performance artists (Naked Cowboy, anyone?). But from above, it becomes one of the most brilliant decorations of the New York City landscape. Complementing the Empire State Building is Rockefeller Center's "Top of the Rock," where you'll get an embracing view of the city on the 67th, 69th, and 70th floors of the building. Some visitors have said you can get an even clearer perspective of Central Park, the Chrysler Building, and other sites from Top of the Rock than the Empire State Building. This may be due to its location being slightly more north, which also allows a better view of northern Manhattan. 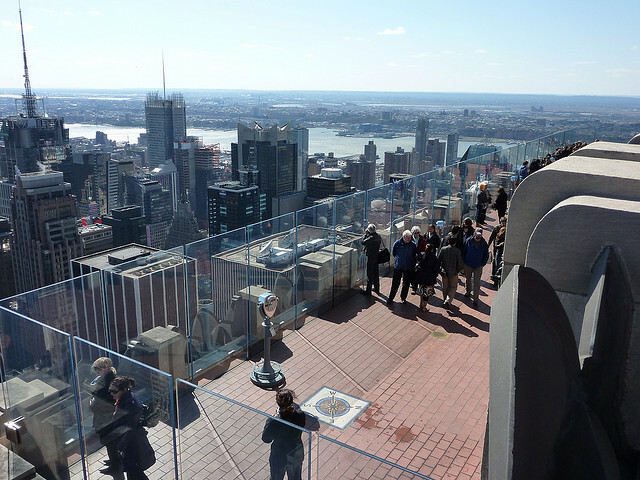 In fact, looking through the wall of glass panels or the viewing binoculars, there's almost nothing about New York City you can't see from the Top of the Rock's 360 view. Here's another traveler's tip: if you want to see Manhattan in its fullest - unobstructed by other visitors in front of you - visit in the morning (8-10 AM) or later at night (10-11 PM), when it's much less crowded. You'll get a calming north view of the morning traffic on the George Washington Bridge, seeing everyone heading to work, or get to watch Times Square light up at night like a firecracker, when the city becomes alive again. 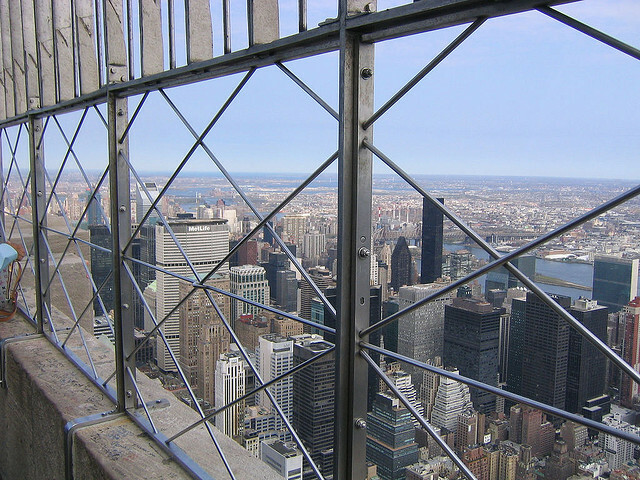 Of course, there is one important landmark you're able to see from Top of the Rock which the Empire State Building does not allow…The Empire State Building itself! If you're flying over Toronto, you'll see one tall, skinny structure standing above the others - the CN Tower. This structure is the third tallest tower in the world, and is perfect for the adventurous traveler. 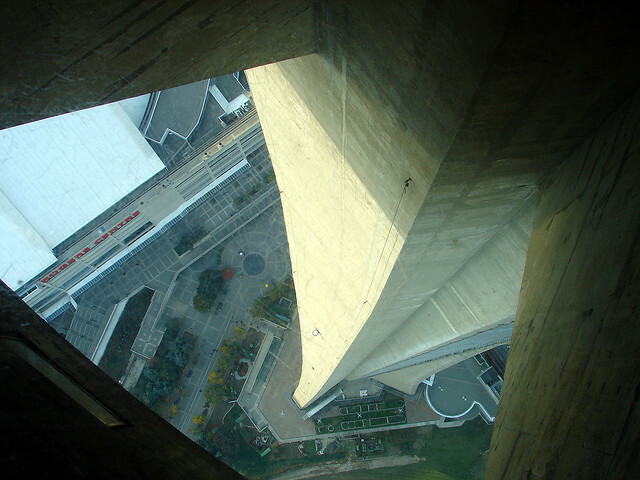 The CN Tower offers spectacular views from these observation points. Toronto sports fans are in luck, as you'll see two of the city's major stadiums: the Rogers Centre (MLB and CFL) and the Air Canada Centre (NHL and NBA). Views like this will give a whole new meaning to the "nose-bleed" section of sports games. One of the most obvious sights from the CN Tower is the great Lake Ontario - big, blue, and dotted with boats in the summer. In the western section of Lake Ontario, you can also see ferries traveling back and forth between the mainland and the Toronto Islands, a small but well-known recreation destination. If it's a clear day, the CN Tower lets visitors see another famous destination you may consider stopping at on your travels - Niagara Falls! The sights mentioned in this article are just a few of those available from the top of these amazing structures. We've given you some hints at what you'll see, but there's no substitute for the real thing. If you want to see New York, Chicago, Toronto, or any other city from unique perspectives, you'll just have to go to the top of them, and see for yourself!